Rolling ladders and work stands are available in standard and custom designs, all to provide you with the most applicable solution that will meet your needs. All solutions lock in place during use to provide a secure work platform, which minimizes overreaching injuries. 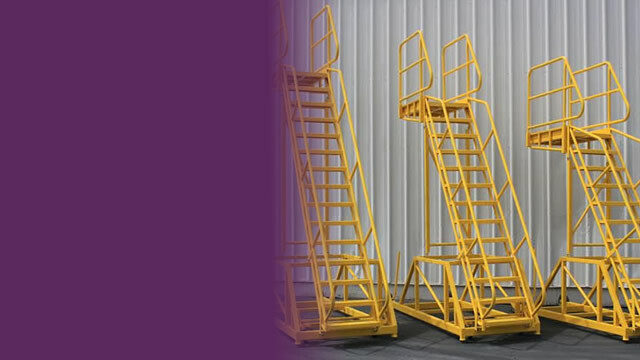 Wildeck rolling ladders and work stands are fairly inexpensive and go a long way towards improving the level of safety for employees. All Wildeck rolling ladders and stands are "Made-in-USA" and are designed to meet all OSHA and Cal-OSHA requirements. 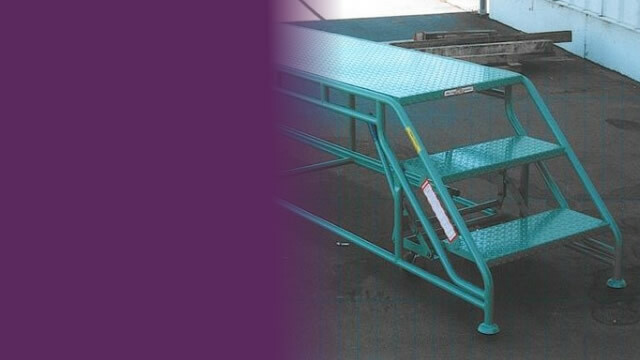 Wildeck rolling ladders and work stands were previously known to be manufactured from Ladder Industries. In 2017, Ladder Industries became part of the rebrand of Wildeck 4 service lines of guards, mezzanines, lifts and access. All products continue to be manufactured to the high quality Ladder Industries was known for. Call today to speak with a representative to align the best solution for your employees and keep safe the work at hand. We have used Ladder Industries, now recognized as part of Wildeck, to ensure the safety of our employees at Portola Packaging, Inc for over 4 years. We have been impressed with the quality of the ladders and the innovative designs. They are always willing to assist us in creating custom ladder designs with short lead times. Our great safety record and culture is partly due to these well-built rolling ladders on our floor.